The original revelation, dated June, 1830, was later edited to insert (vv. 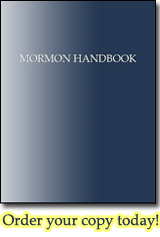 65 to 67) language about the priesthood. The current section heading now dates this revelation to April, 1830, in conformity with the organization of the church. The Articles and Covenants of the church of Christ, given in Fayette, New-York, June, 1830. Revelation on Church organization and government, given through Joseph Smith the Prophet, April 1830.